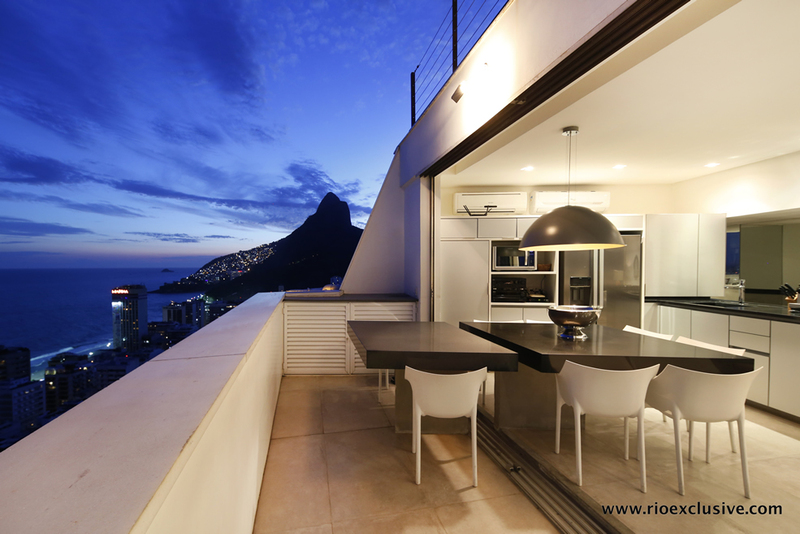 The view from the roof is to take the breath. 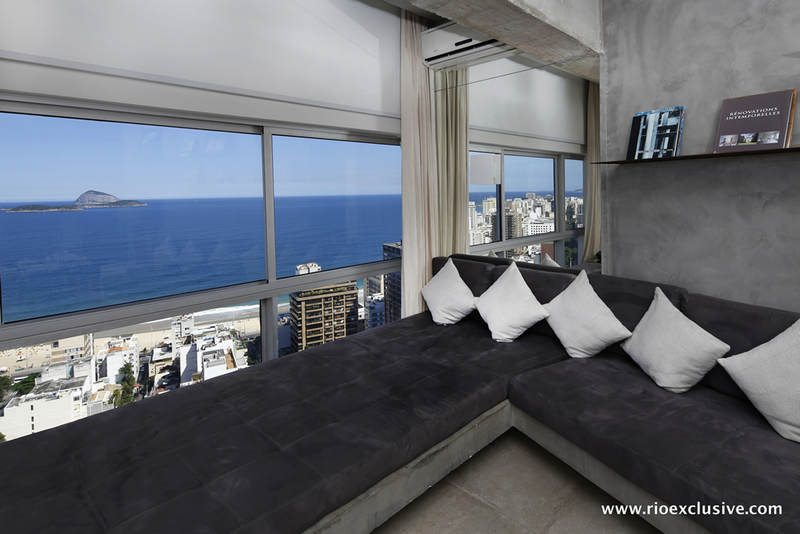 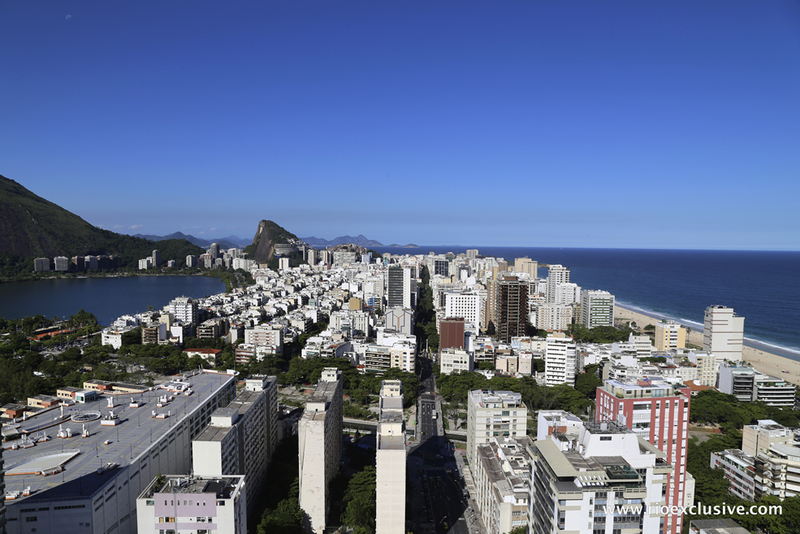 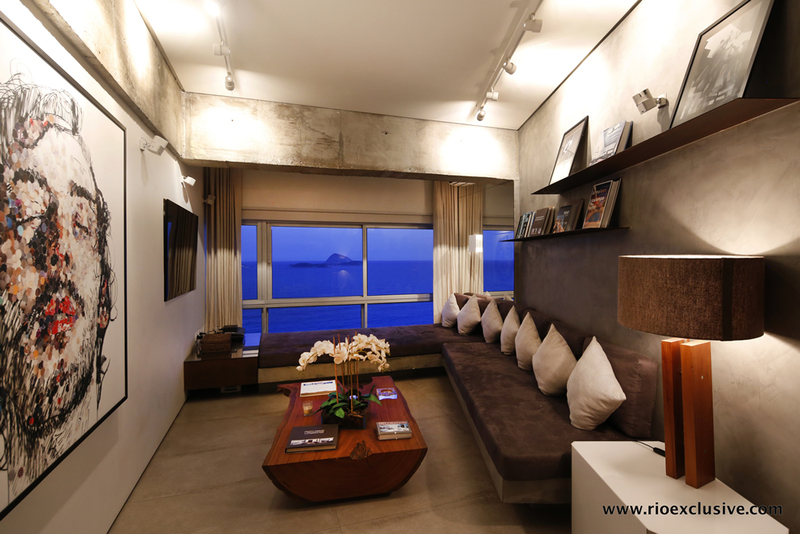 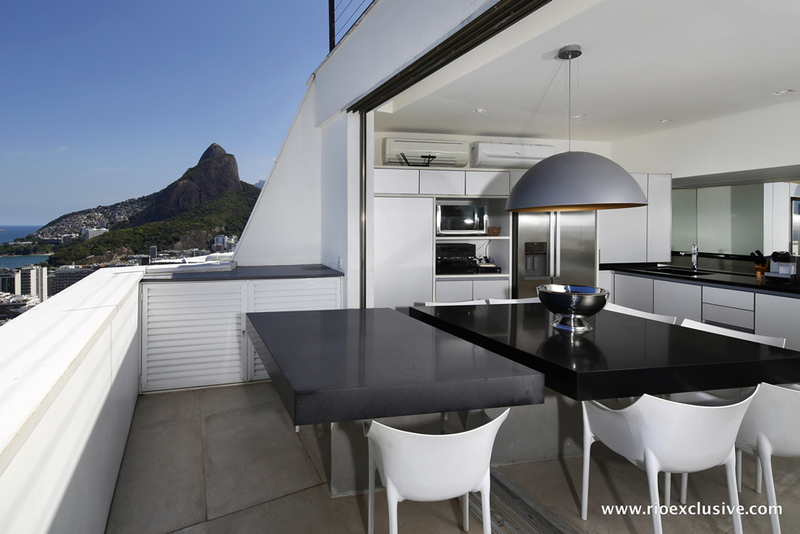 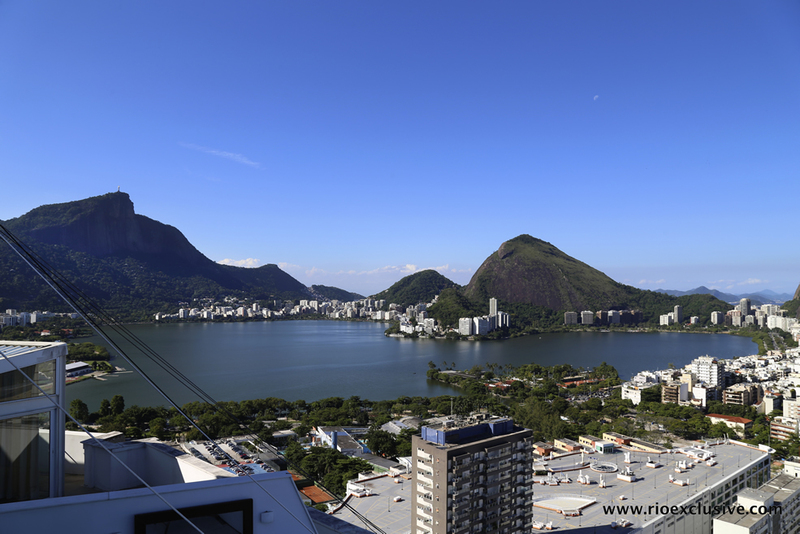 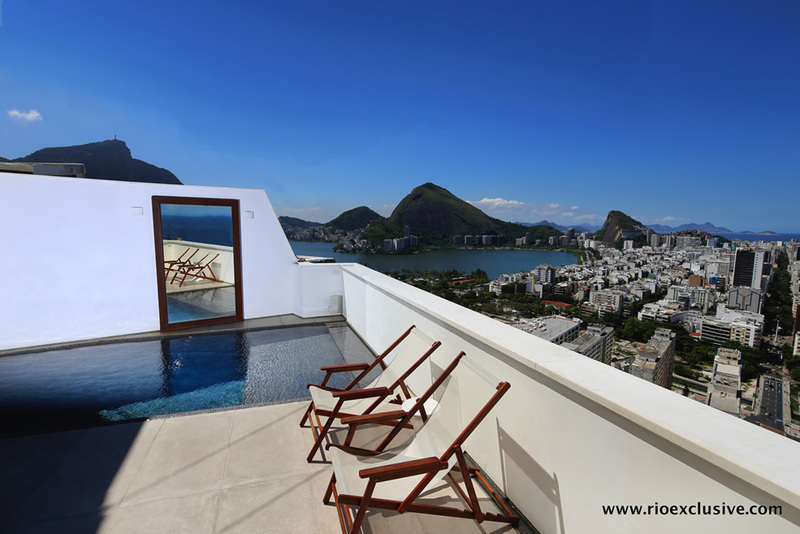 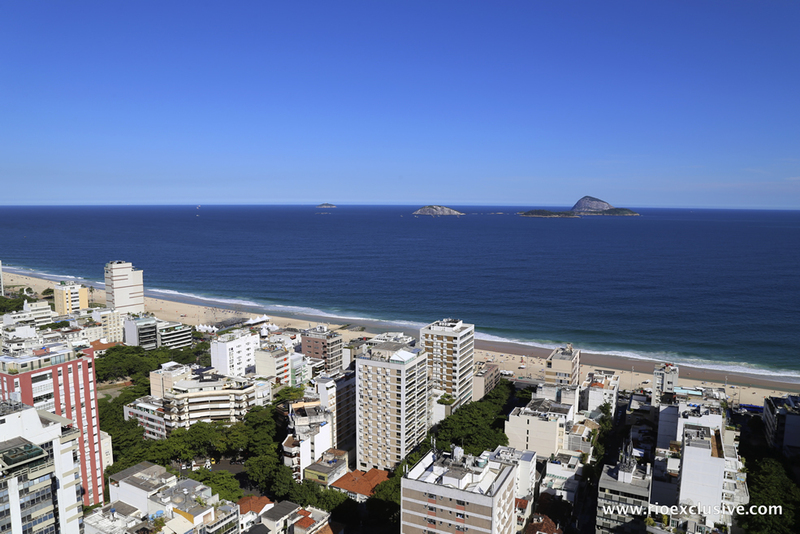 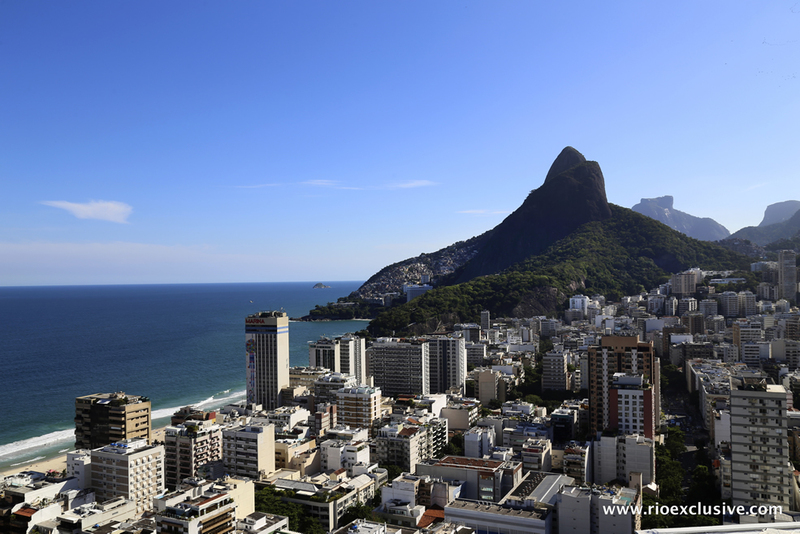 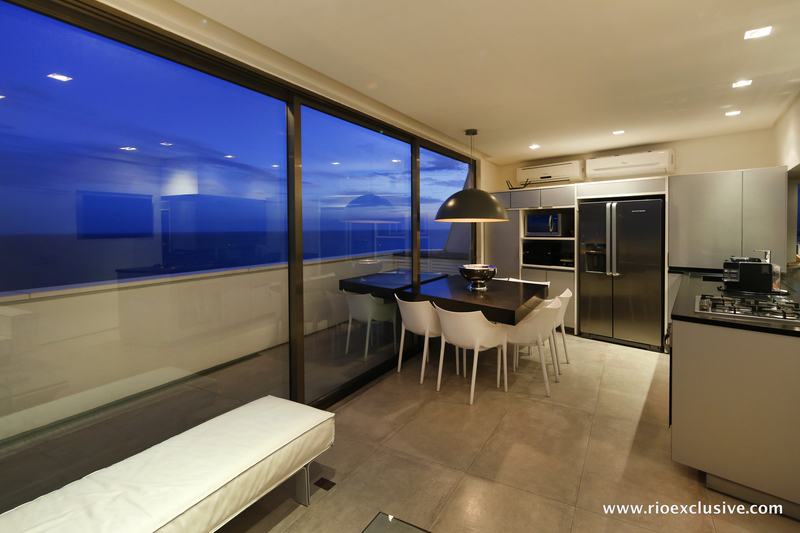 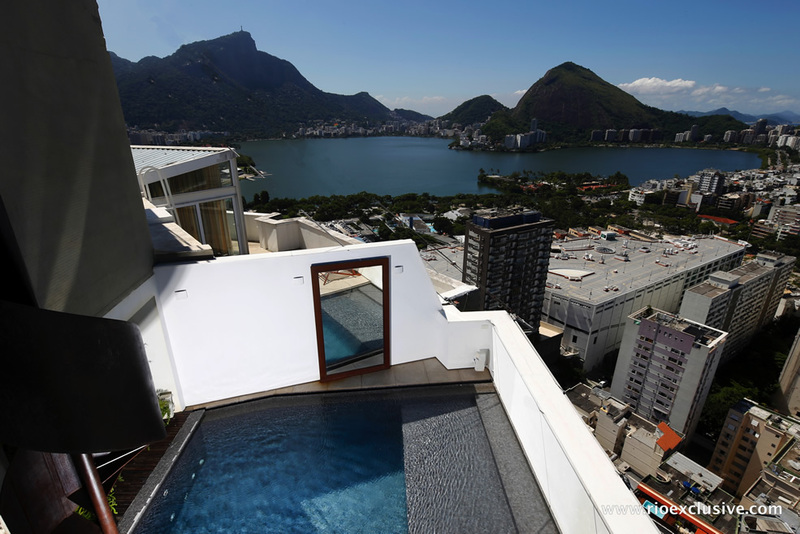 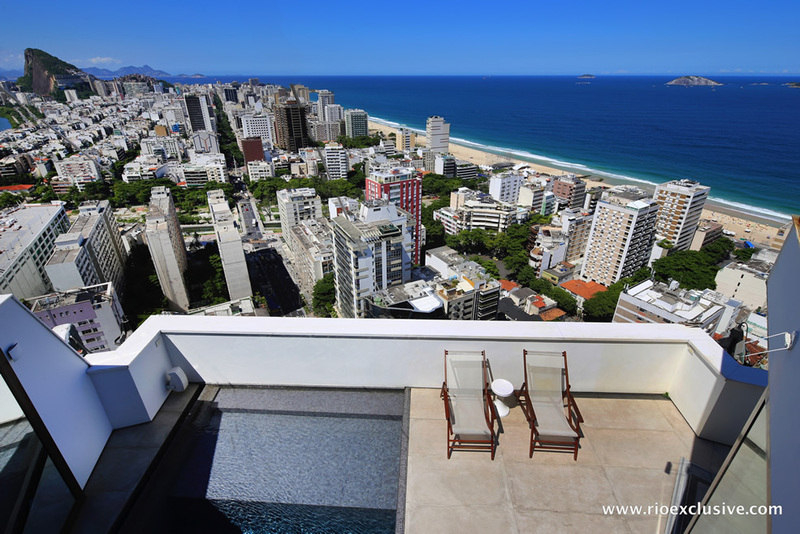 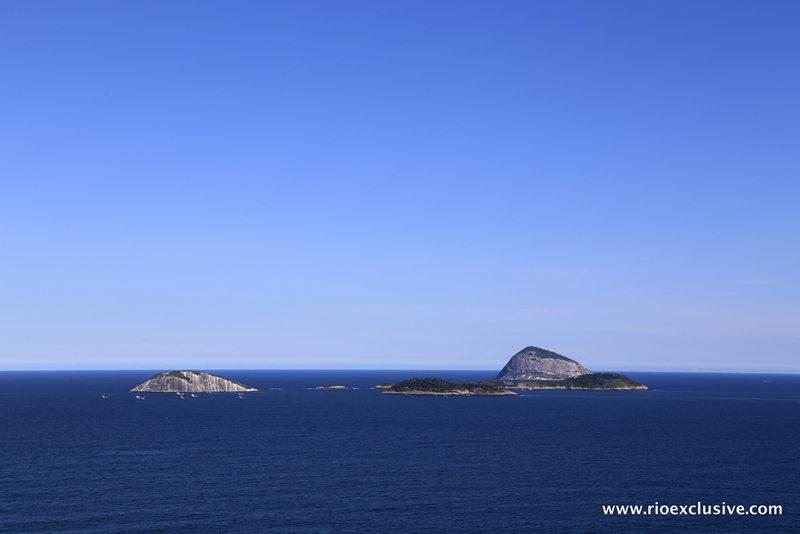 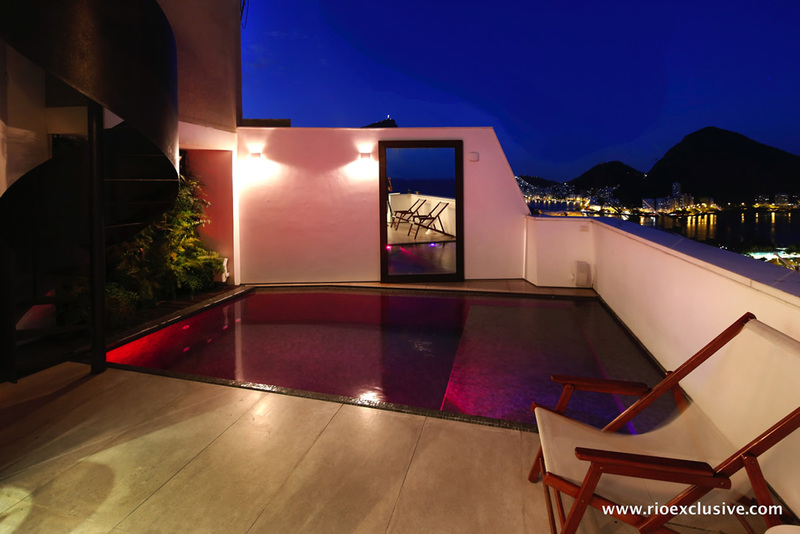 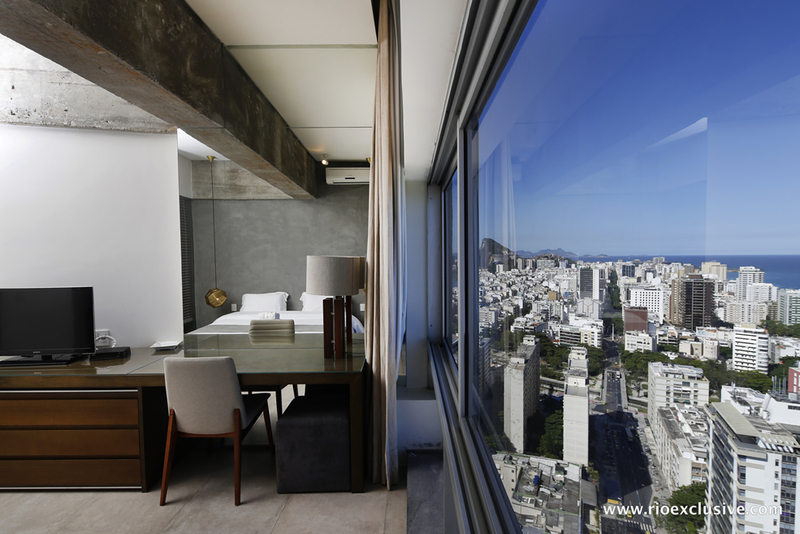 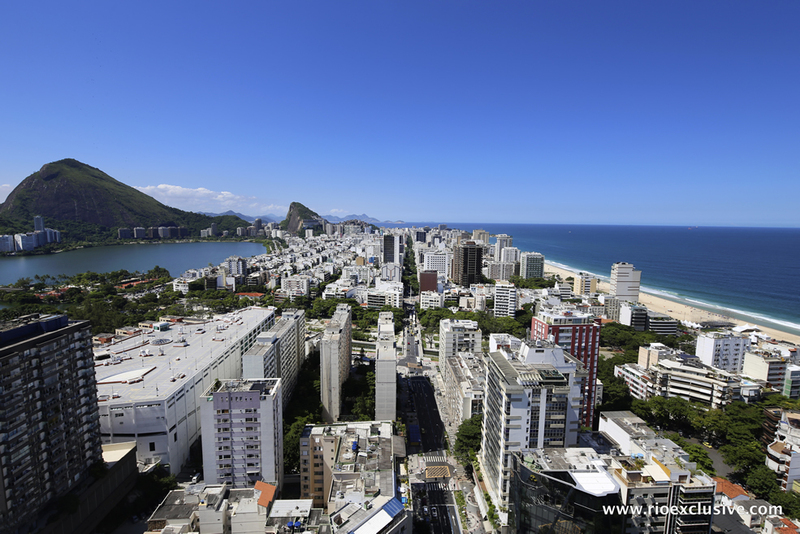 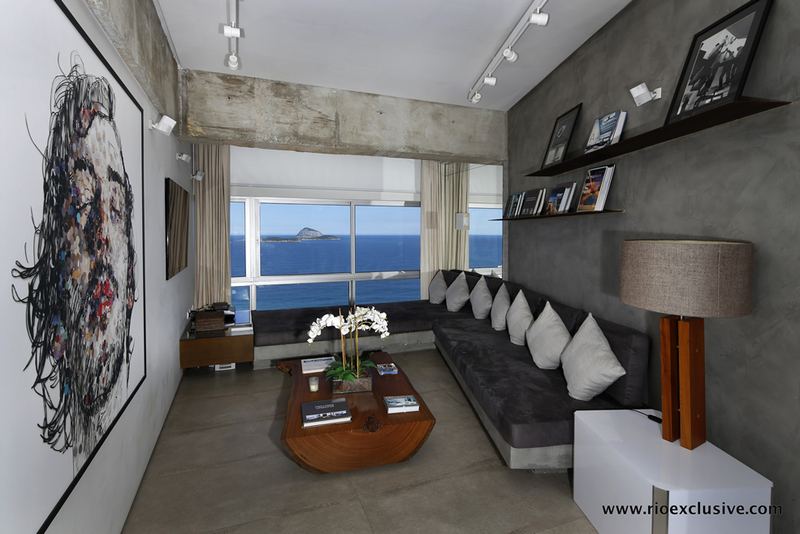 It has two floors (29th and 30th floor) and is located on the noble building; Rio Design Leblon, with unbelievable views of Leblon, Ipanema, Lagoa and Christ the Redeemer. 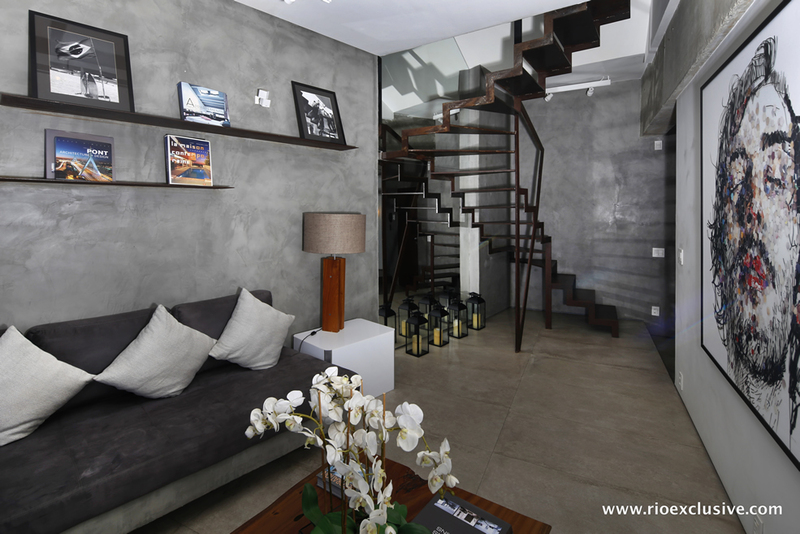 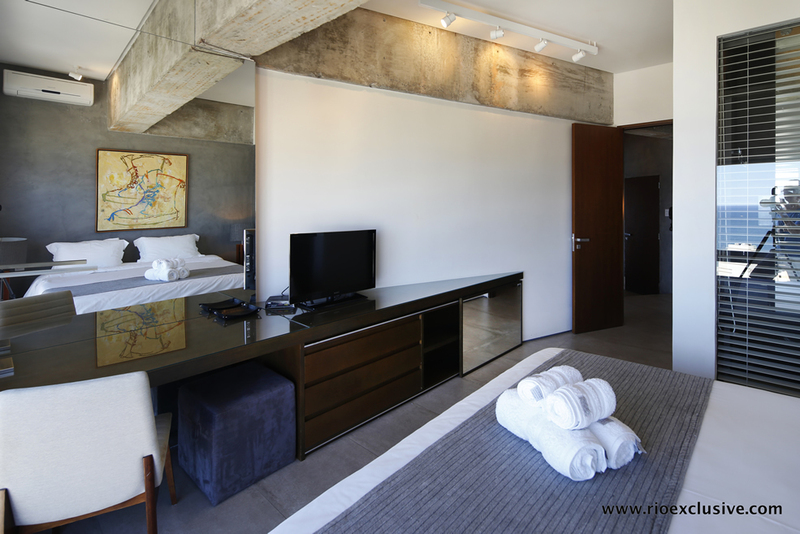 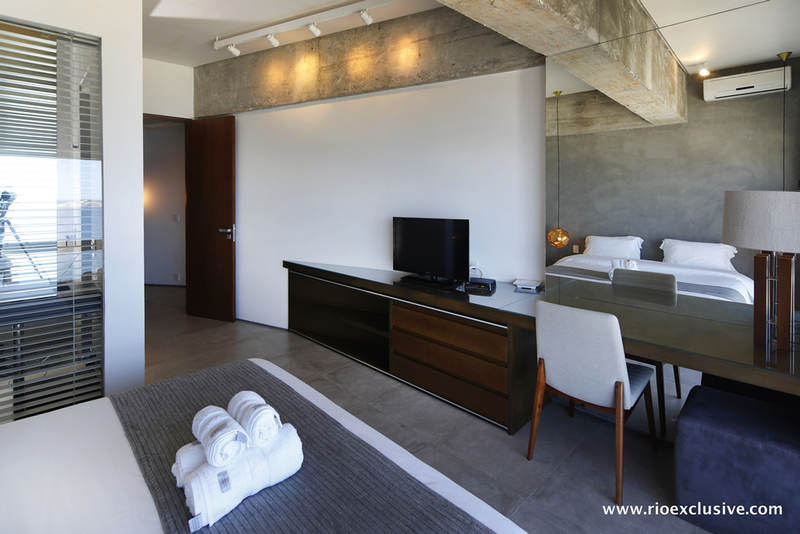 These 3 suites represent the ultimate in modern design, furniture minimalist industrial style, finished in techno-cement. 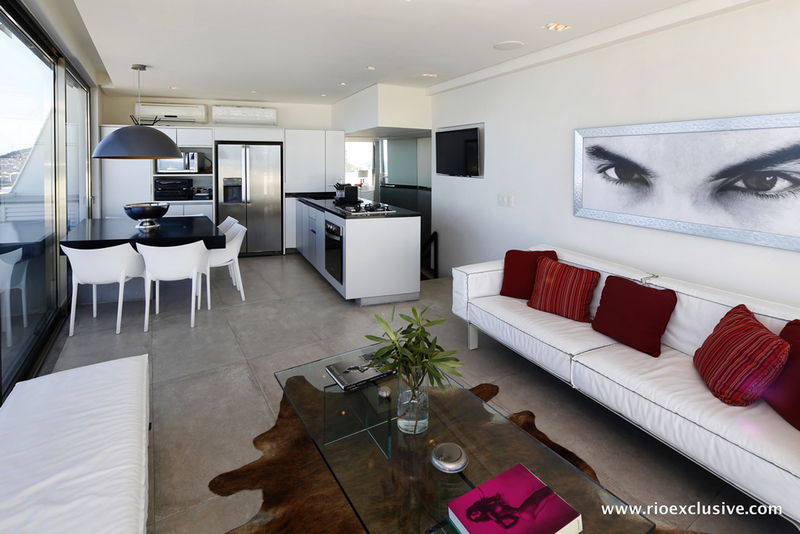 Cabinets with louvered doors. 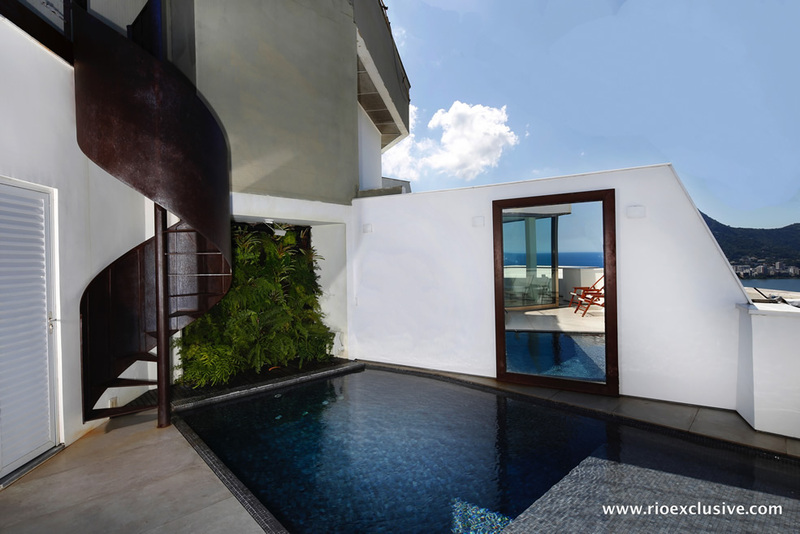 You have your own private pool (water mirror) on the balcony with green wall of living plants in the background, and a living room with white leather sofa and French glass doors sliding on ceiling height, opening to the large terrace and the view, with American kitchen, gourmet refrigerator on the second floor. 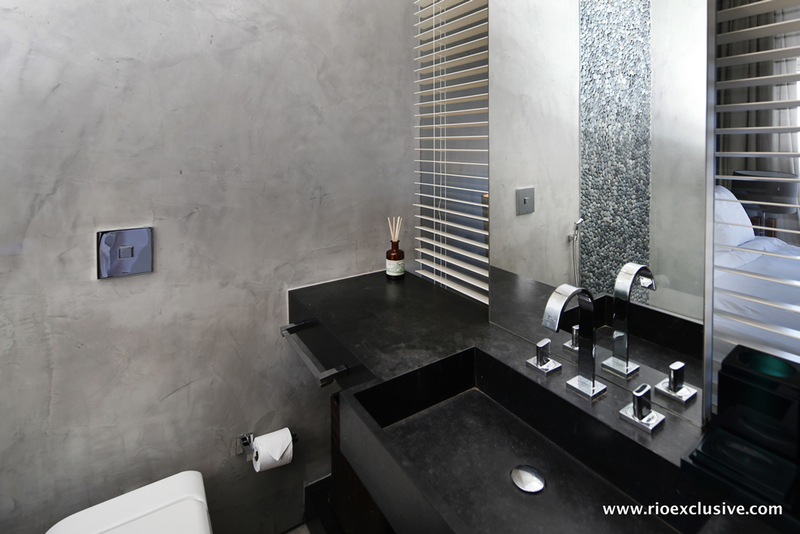 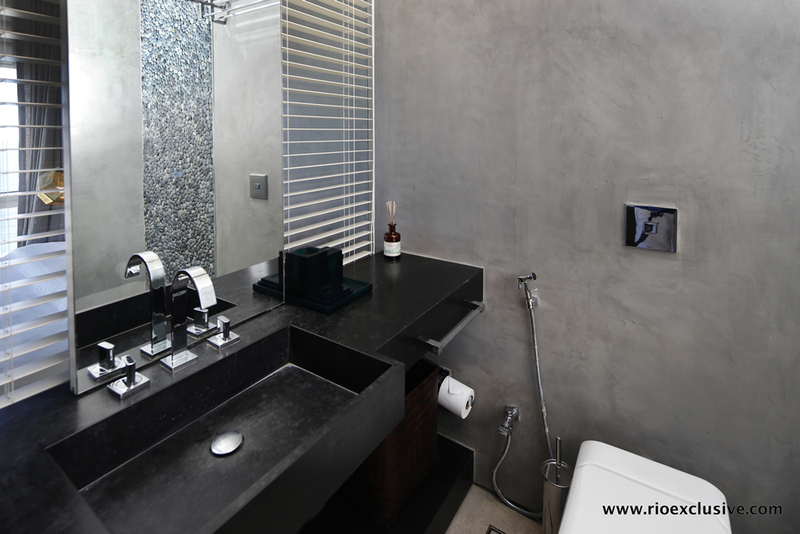 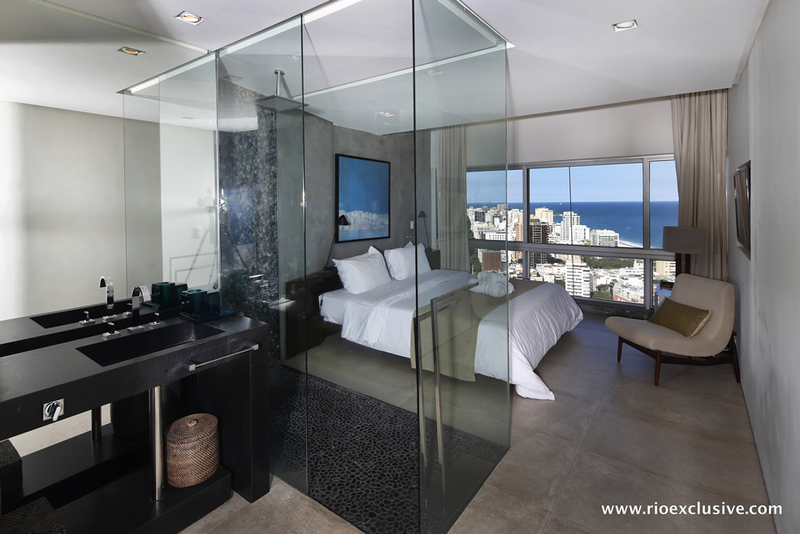 On the first floor of the 29th floor has a living room with plasma TV and sofa / large beds and air conditioners in all environments you will have access to the 3 suites that have bathrooms with walls of Rio de stones giving the feeling natural to take waterfall bath ... 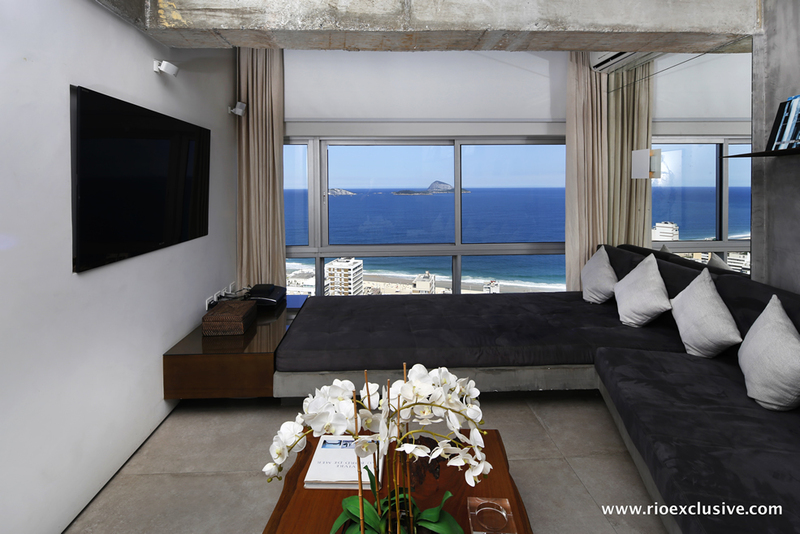 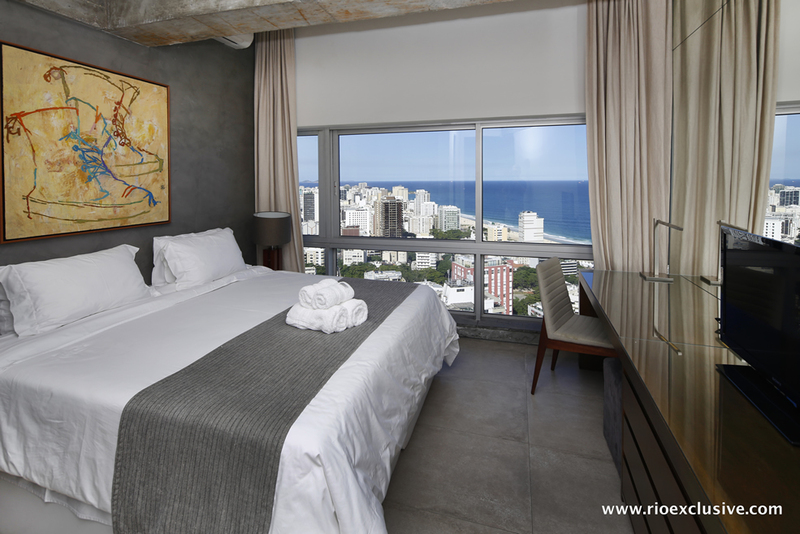 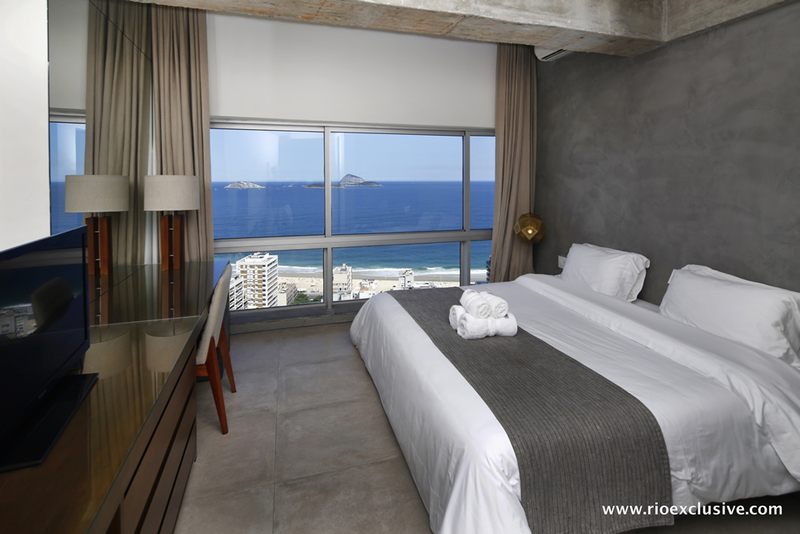 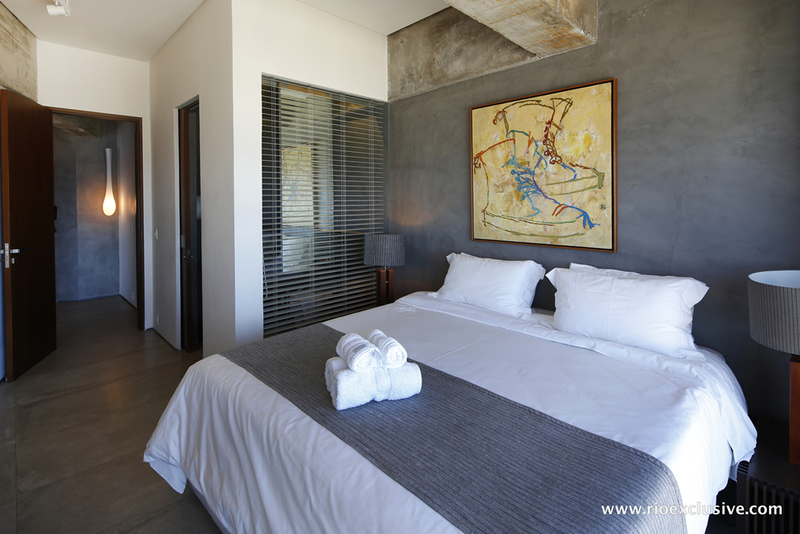 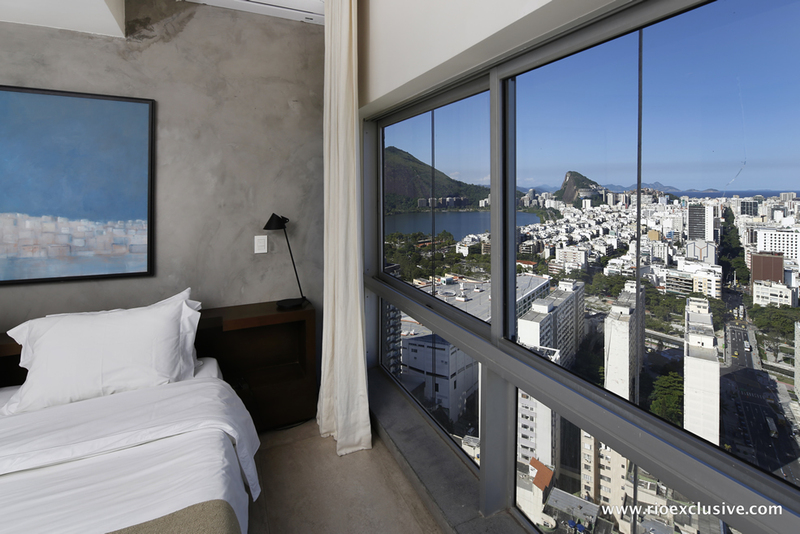 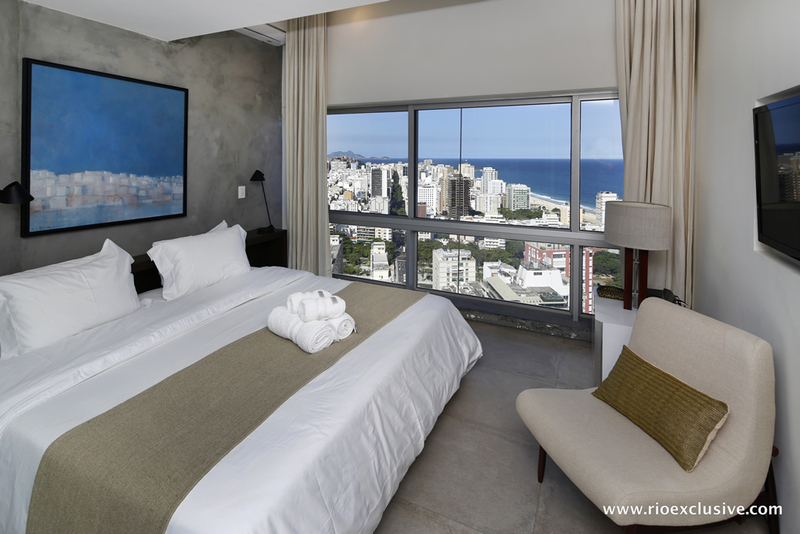 The master suite has a fully transparent shower and glazed side of the double bed, all suites feature plasma screen TVs, and have the same Leblon / Ipanema spectacular views of the waterfront and its beaches, sea, islands Cagarras. 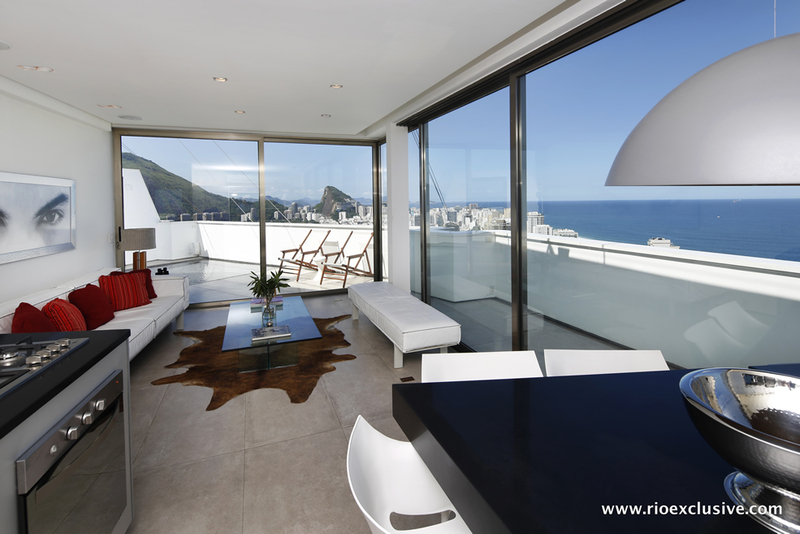 The location of Rio Design of the building is one of the most sought after in Leblon - you're across the street from one of the best malls in Rio de Janeiro, shopping center and cinemas, only 2 minutes straight to the beach and surrounded by Main Street where a variety of fine restaurants / bucolic and designer shops are located ... 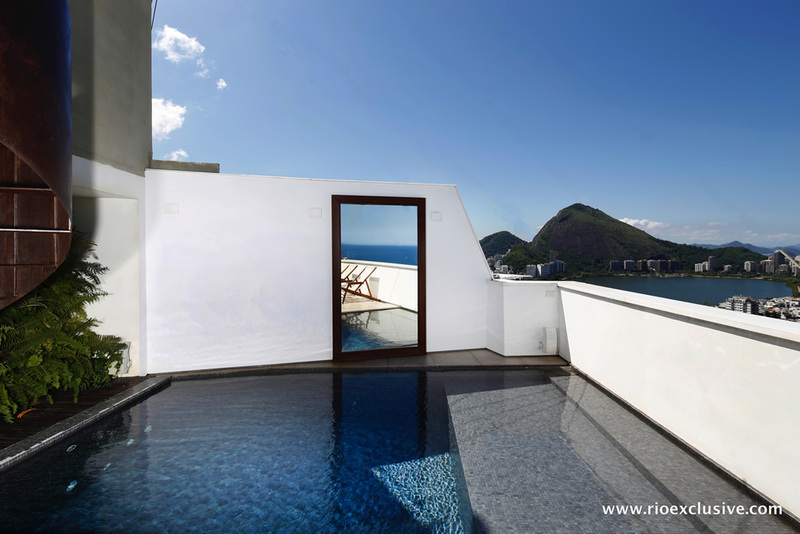 The building features spa services, fitness.